On January 8, fourteen China VI vehicle engines were unveiled at the headquarters of Yuchai Group as the first enterprise nationwide to release a string of China VI engines, which remarks that Yuchai, with plenty of cutting-edge technologies, drives another trend of upgrading emission technology in domestic internal combustion engine industry. Guests were present at the Release Conference and witnessed the unveiling of China VI products. They were Su Wanhua, Academician of Chinese Academy of Engineering, Hou Gang, Deputy Director of Guangxi Industry and Information Committee and other leadership, and leaders from testing organizations including China Automotive Engineering Research Institute Co., Ltd., R&D partners like AVL of Austria, 35 truck enterprises and 23 bus enterprises respectively represented by Dongfeng Trucks and Yutong Group, and 70 suppliers like BOSCH. Yan Ping, Chairman of the Board of Directors of Guangxi Yuchai Machinery Co., Ltd., joined hands with Academician Su Wanhua, Deputy Director Hou Gang, Li Kaiguo, Chairman of China Automotive Engineering Research Institute Co., Ltd., Lin Yongming, Director of Xiamen Environment Protection Vehicle Emission Control Technology Center, Michael Laske, CEO of AVL List GMBH China, Thomas Reinhart, Inspector-general of Southwest Research Institute, Miao Yuming, General Manager of Bosch Automotive Diesel Systems Co., Ltd. and Tobias Posner, Inspector-general of Thyssenkrupp AG, to drive the pushrod, a token of China VI engines, witnessing the release of new arrivals. Also at the Release Conference, the Unveiling Ceremony was launched. 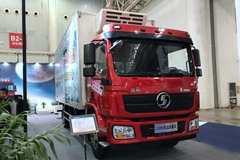 Academician Su Wanhua, Chairman Yan Ping, Wu Qiwei, President of Guangxi Yuchai Machinery Co., Ltd., Mo Rongbo, Vice General Manager of Dongfeng Liuzhou Motor Co., Ltd., Li Yanshuo, General Manager of C&C Trucks, Yuan Qinshan, Chairman of Dayun Automobile Co., Ltd., Zheng Hua, General Manager of Dongfeng (Shiyan) Chassis Parts Co., Ltd., Wang Bing, General Manager of Heavy-duty Trucks Branch of JAC Motors, Zhang Xuan, General Manager of Shaanxi Automobile Holding Group Co., Ltd. and other leaders unveiled a total of 14 roll-out products and witnessed the appearance of all series of engines in keeping with the China VI emission standard. 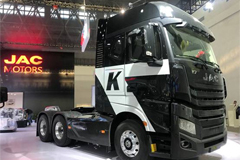 The 14 China VI engines released this time embraces 11 series of world-class products from six product platforms based on S, K and Y technological platforms. Three letters “S-K-Y” means blue sky and white cloud literally and demonstrates Yuchai’s commitment to develop clean and efficient internal combustion engines, and determination to make itself better and stronger and devote itself to environmental protection. Among 14 products, 10 are diesel engines and 4 gas engines, with power ranging from 100 horsepower to 650 horsepower. In detail, YCS04, YCS06 and YCS04N are medium- and light-duty engines from the S platform, YCK05, YCK08, YCK09, YCK11, YCK13, YCK13N, YCK15N and YCA07N are medium- and heavy-duty engines from the K platform, and YCY20, YCY24 and YCY30 light-duty ones from the Y platform. 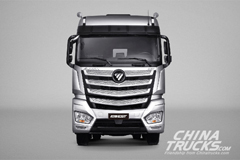 In comparison to China V products, Yuchai’s China VI engines are significantly improved in ride comfort, lightweight, appearance, reliability and efficiency, in addition to great reduction of exhaust gas emission. Moreover, performance indicators of these products are up to world class and even surpass those of international top products, endowing Yuchai with the strength in competing with world-class counterparts and in creating tremendous value for customers. 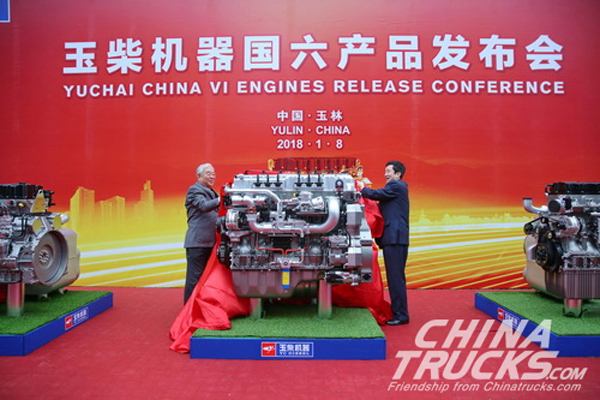 Chairman Yan Ping indicated in his speech at the conference that all series of 14 high-end China VI engines made their debut today and were oriented to the global market, which deserved to be celebrated for Yuchai and even for the industry. Release of China VI engines with leading-edge technologies and performances marked that Yuchai would continue to drive the technological trend of domestic internal combustion engine industry, and highlighted Yuchai’s remarkable achievements in three-year system reconstruction of R&D, manufacturing and management. For the first time, Yuchai successfully upgraded to an industrial pioneer and leader from a follower with strength, enabling a shift from Made in China to Created in China and creating product value of global significance. At present, Yuchai had been placing itself into the crucial period of second entrepreneurship. The Group would devote every effort to realize the goal of going beyond itself by 2020 when the China VI Emission Regulation come into effect. 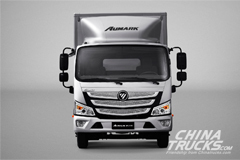 Then, it would successfully march into international market and edge itself into the first echelon of international internal combustion engine industry. Yuchai was ready to join hands with all partners to make breakthrough on the journey of China VI, ushering in the victory and glory belonging to all strivers. Manfred Breitenberger, Design Director of AVL commercial vehicle engines, Thomas Reinhart, Engine Powertrain Development Director of Southwest Research Institute and Paolo Santarelli, Technical Manager of IAE, respectively introduced the design philosophies of products from K, S and Y platforms. 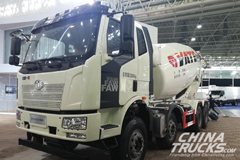 The Release was interspersed with awarding ceremony for 52 strategic cooperation suppliers and signing ceremony at which Yuchai concluded strategic cooperation agreements with 22 truck enterprises like DFAC and Dongfeng Trucks, and 8 bus enterprises such as Yutong Group and AUV Bus. In addition, General Manager Miao Yuming, representative of strategic cooperation suppliers, Yang Shengliang, Assistant to General Manager of Dongfeng Trucks and representative of VIP customers, and Fan Xianjun, Vice President of Beiqi Foton Motor Co., Ltd., delivered speeches at the Conference and expressed their determination and confidence on joining hands with Yuchai to tide over difficulties and achieve win-win results in the future. It is learned that Yuchai has been committed to research and development of green engines, and has taken the lead in rolling out green products in domestic industry, earlier than the time when China I-VI emission standards are officially took effect. 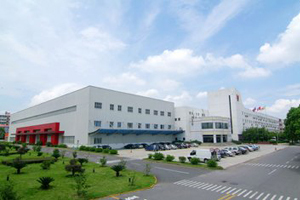 Since China VI vehicle engines development project was initiated in 2015, Yuchai has bent itself to manufacturing world-class products by keeping pace with international standards, and introducing R&D philosophy featuring systematization, modularization and universalization, in a bid to create high-end brand in keeping with China VI emission standard. 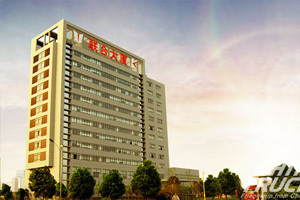 In order to guarantee the high quality of China VI engines, Yuchai worked together with component suppliers and automobile manufacturers from planning, design to development and overcame all difficulties at the inception of the project. Key components of China VI engines are mainly supplied by world-class manufacturers and part of them offered by domestic-class manufacturers. At the beginning of the planning process, Yuchai engaged itself with automobile enterprises for engine-vehicle compatibility, including general configuration of engine, verification and calibration for application of engine to vehicle and others, to accelerate the development China VI engines and guarantee the adaptability of engine to vehicle. 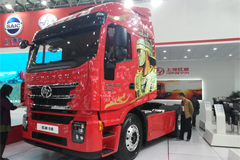 Domestically reputed automobile enterprises, including DFAC, Dongfeng Trucks, Dongfeng Liuzhou Motor Co., Ltd., JAC Motors, Yutong Group and King Long, has rendered full support to Yuchai’s China VI engines-related works.